A 79" / 2 meter long steel tape measure is attractively contained within a brushed stainless steel case with polished black trim. 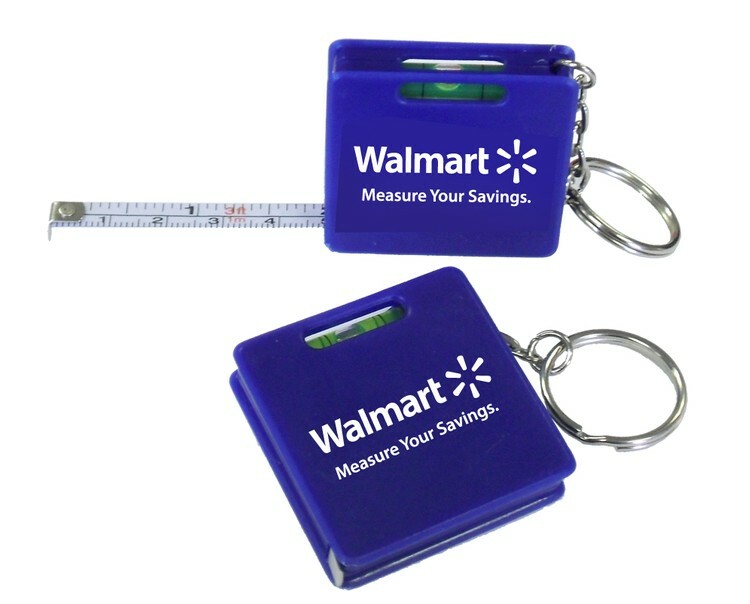 3 feet long retractable tape measure with a split ring. Great promotional idea for construction companies, tailoring services, home improvement companies, Moving service and more. 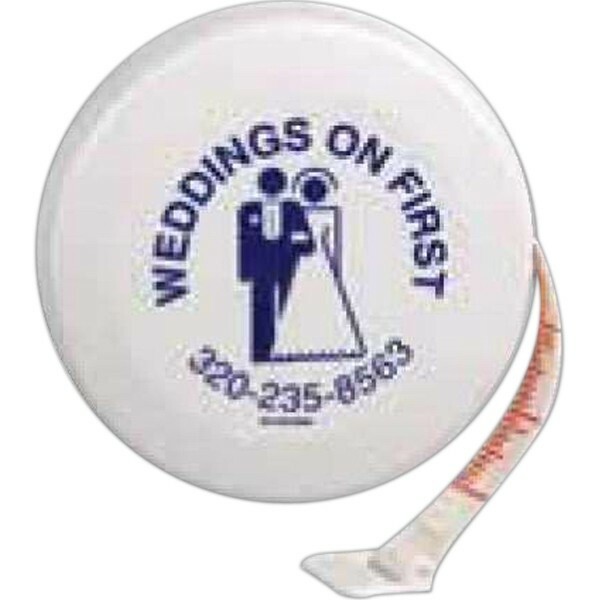 Translucent Carabiner Tape Measure with Epoxy Dome Imprint 6' Tape Measure Attaches to a loop with a Carabiner Clip Includes a Full Color Epoxy Dome Decal Imprint Imprint Area: 1.4375 Round Colors: Smoke, Lime, Orange, Blue, Red and Purple Production Time: 10-12 Working Days After Approval of Paper Proof Rush Charge: $0.20 (v) Minimum Charge of $45.00 (v) FOB: NY 11516 500 pcs / 34 lbs 14 3/4" x 13 1/2" x 9 3/8"
House Shaped Tape Measure Keychain 5' Tape Measure Tape Release Button on Chimney Product Size 1.875" x 2.0625" Price Includes One Location Full Color Dome Imprint Imprint Area: 1.625" x 1.5625" Production Time: 10-12 Working Days After Approval of Paper Proof Rush Charge: $0.20 (v) Minimum Charge of $45.00 (v) FOB: NY 11516 500 pcs / 38 lbs 15" x 9.5" x 13.5"
Includes one color imprint. 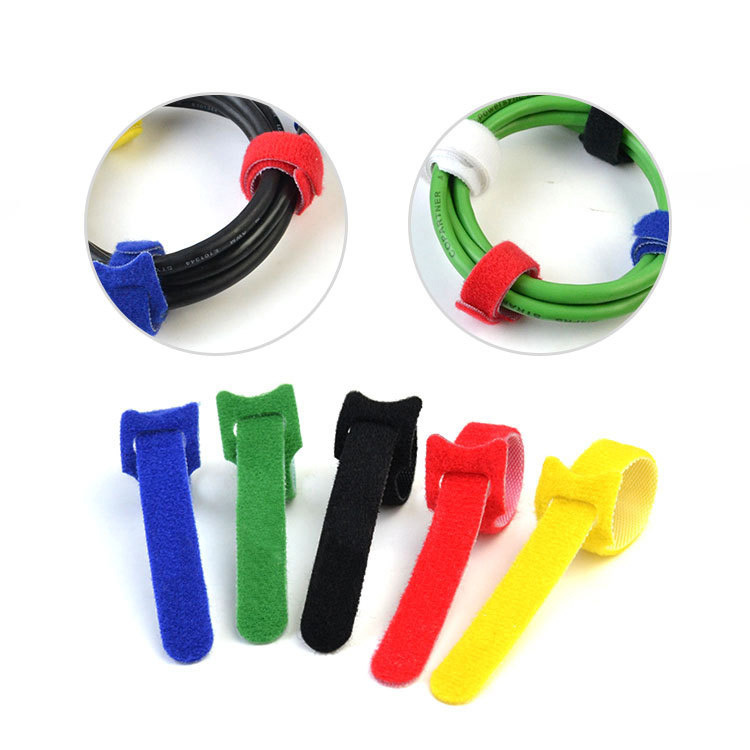 Stock colors are Black Dark Blue and Red. 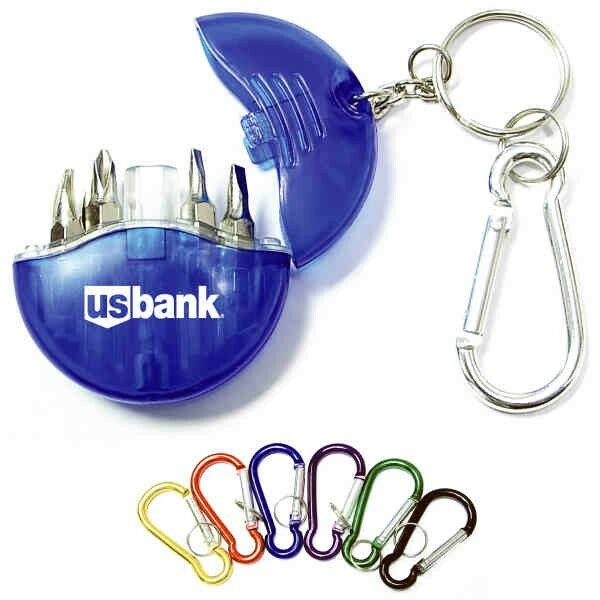 Price includes both Key Tag and Zipper Pull Attachments. Accurately printed in both inches and centimeters. 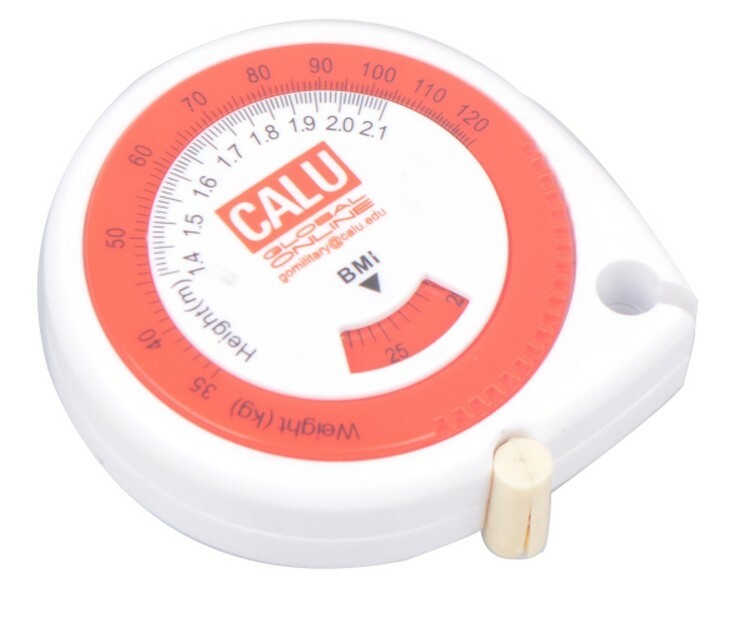 With a push button mechanism to retract the measuring tape.Measure range : 1.5M/ 60inch ; 0 - 150 cm and 0-60 inch. 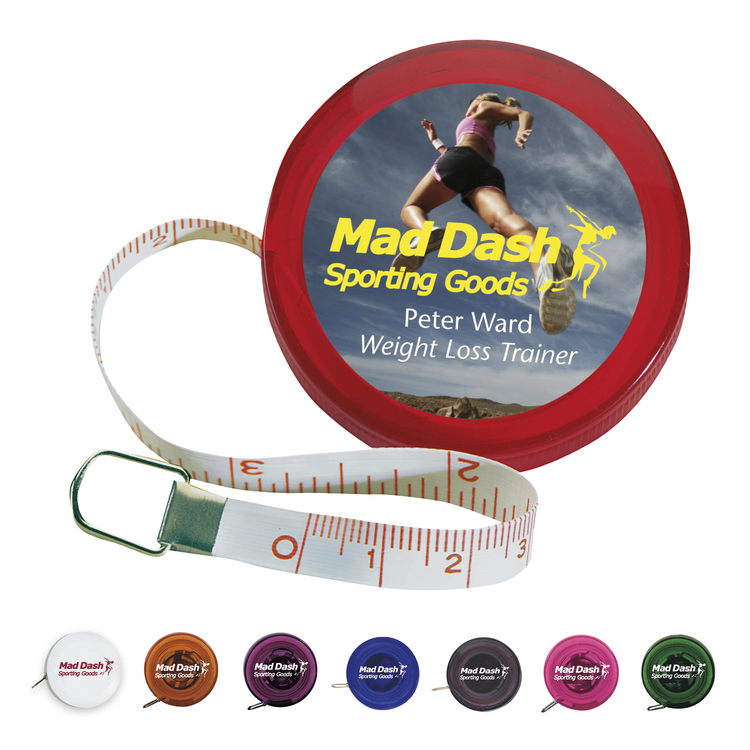 Mini BMI Calculator with tape measure, customized logo and color is available. 2 1/2" x 2". 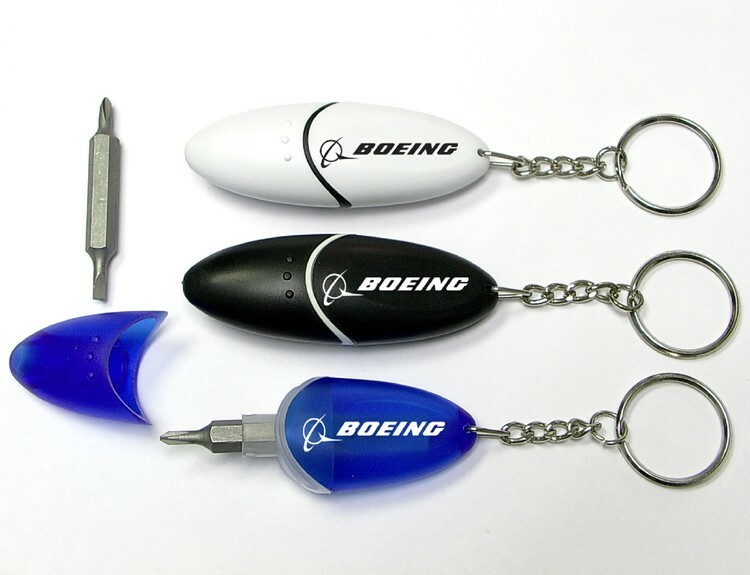 Mini 4-in-1 Screwdriver tool set with split key ring and carabiner. Solid ABS construction with Phillips and two slotted screwdrivers. Large imprint area. 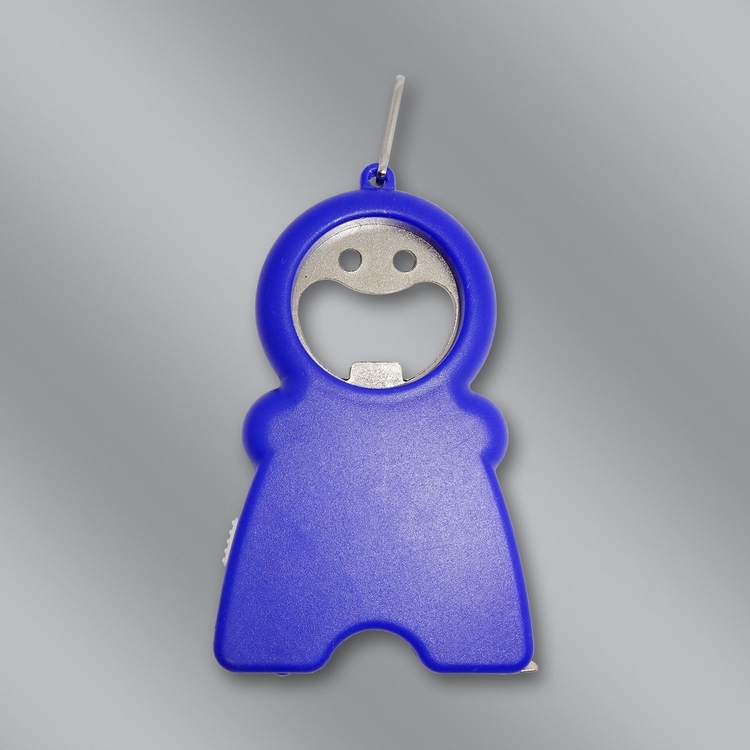 Ideal for transportation, key holder, travel, camping, tooling, real estate and self promos. 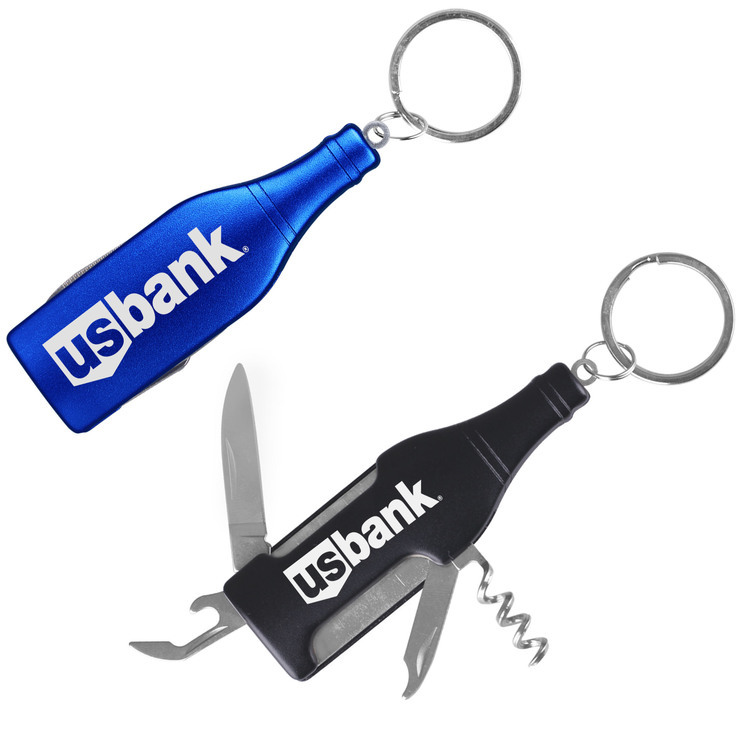 Multi function 6 tools kit, combines knife, corkscrew, wine bottle opener, nail polisher and key holder in one. 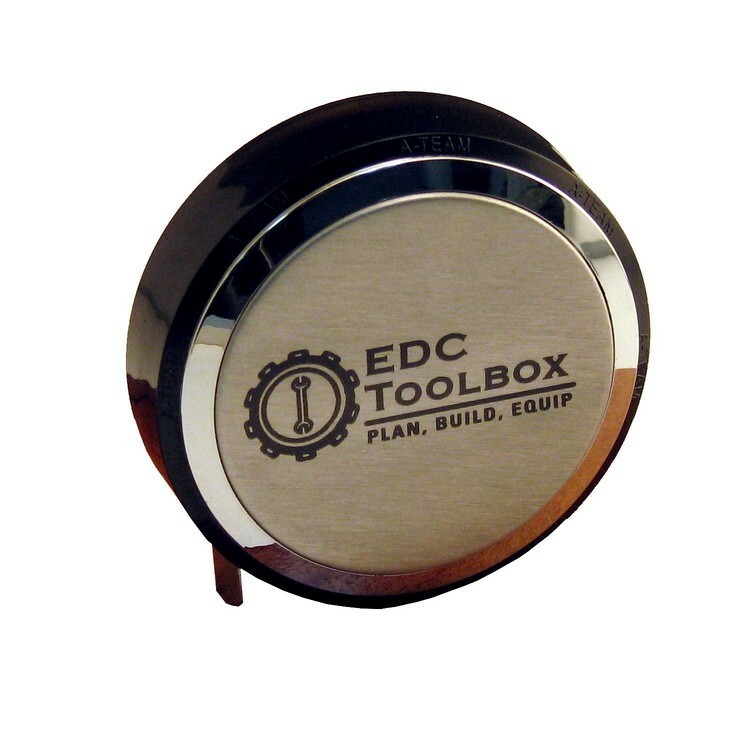 Metal construction, solid aluminum outer case with plenty of room for your logo or message. Pocket sized for easy carrying and use. 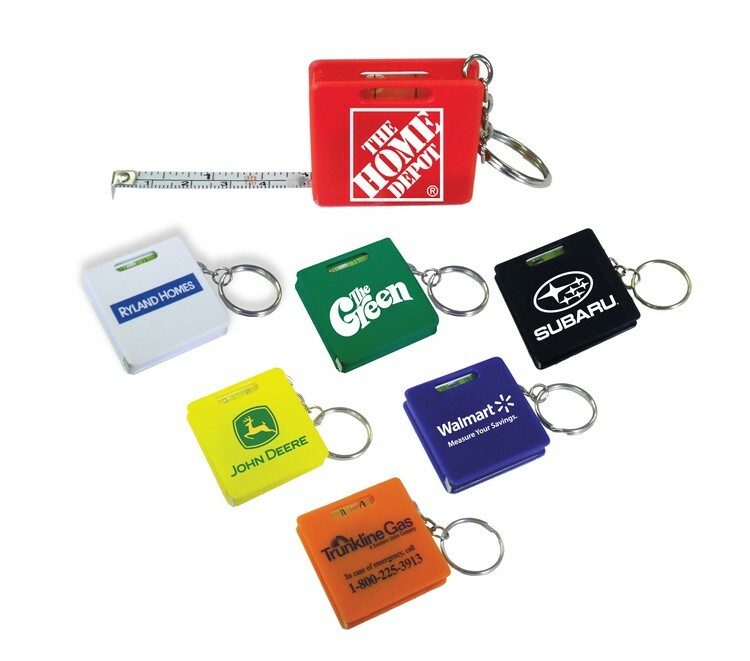 Ideal for key holder, key tag, key chain, key ring, outdoor, hunting, safety program, emergency, travel, camping, and self promos. Free upgrade to laser engraving. 10' Tape Measure Always there when you need it. Multi Purpose Tape Measure. 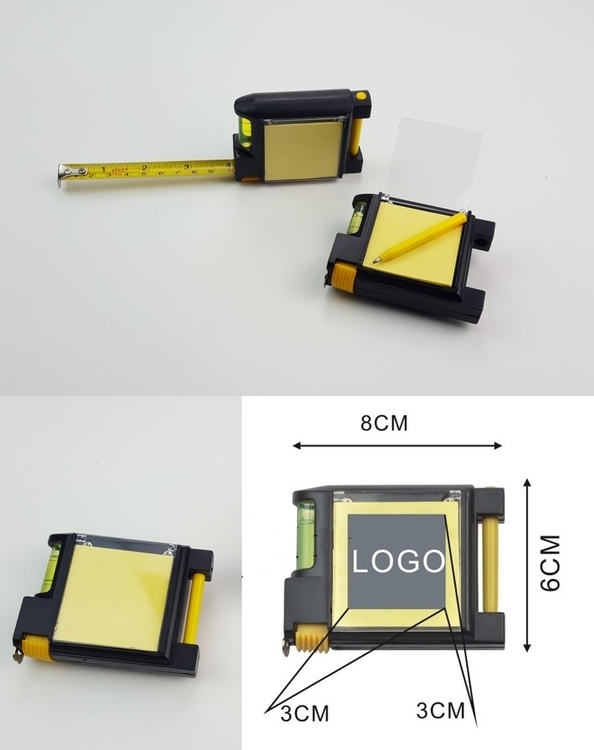 Yellow Adhesive Notepads, Removable, Pen, Plastic Shield for Imprint, Level, Tape Measure, Convenience Belt Clip. 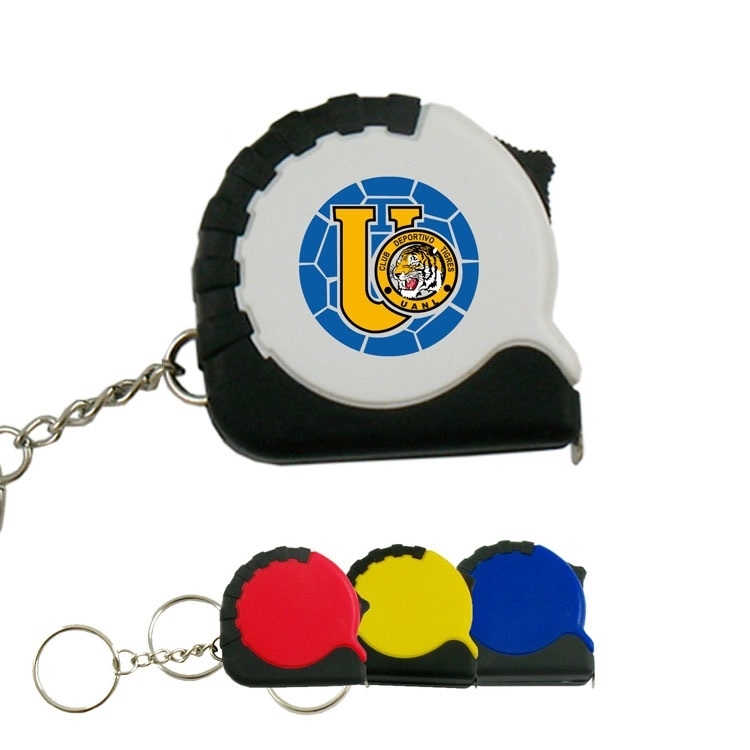 Tape measure, can be made into various colors, also imprint your logo on the back side. The size is 60" length, the diameter is 2". There's a button on the top to lock when using it. 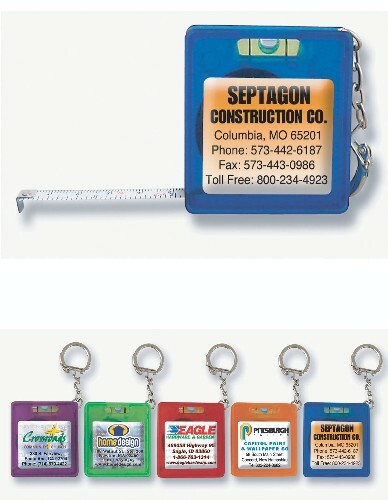 Measurements in inches and centimeters on steel retractable ruler. 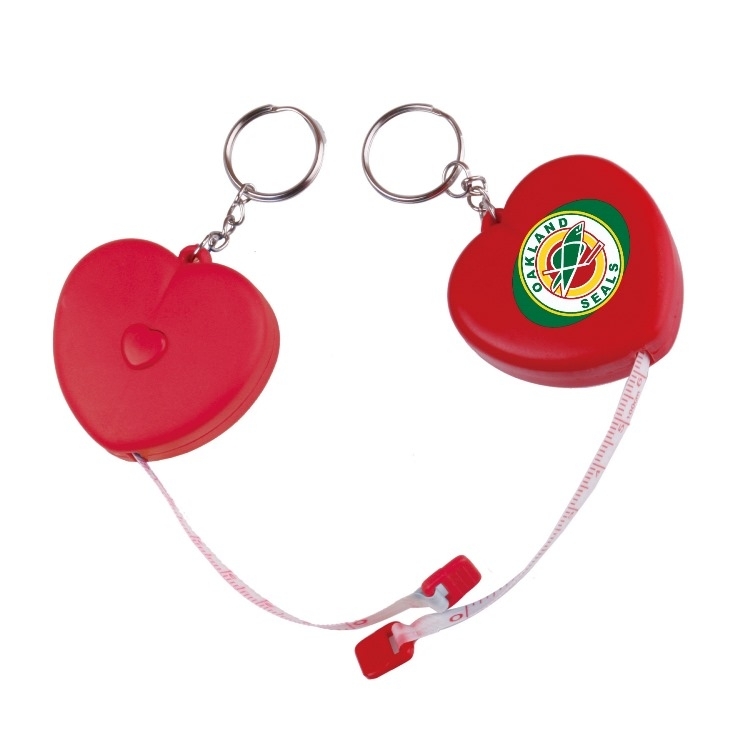 Includes yellow sticky memo pad, mini pen and metal belt clip. Clear flip-top cover protects the memo pad. Self lock and release function and metal belt clip on back. 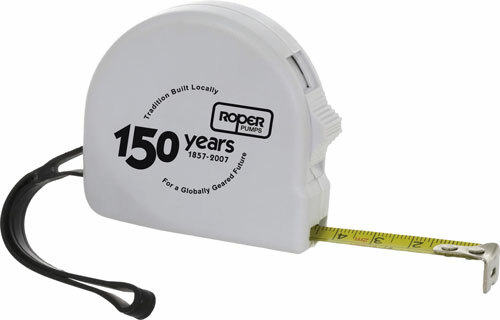 This compact five foot tape measure proves to be a very useful tool to have around. Pliable tape is gentle yet very durable. Measures in both inches and meter/centimeters. Used by pediatricians, OB/GYNs and weight loss centers. 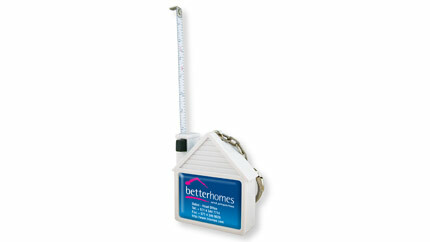 This portable tape measure applies inches and metric measurement with an extending length of 59 inches. All you need is an easy press on button then it will retract automatically. 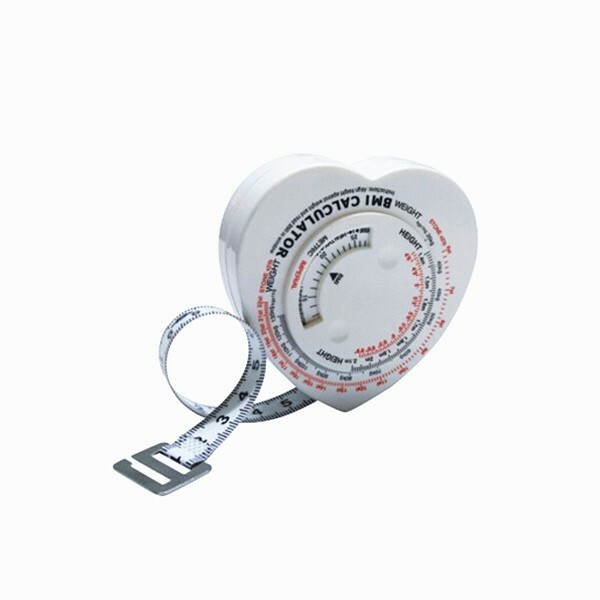 It is used to measure clothes length, body height and everything whose length you need to know. 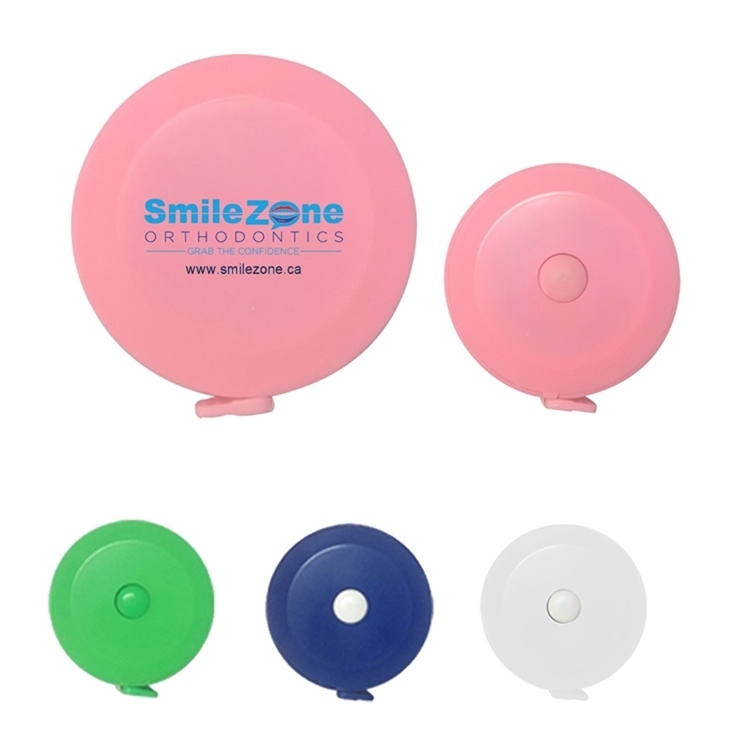 Featuring a bio-fit grip and stylish design, it is perfect for trade shows, marketing campaigns as well as fundraising activities as a distribution. It is made of ABS and PVC. Usage: a. Rotate the turntable in the middle of the tape according to your height and find the weight. When the arrow points certain word, it means a certain thing (HEALTHY, OVERWEIGHT, OBESE and UNDERWEIGHT). b. For the tape, green means healthy. Yellow means overweight. Red means obese. 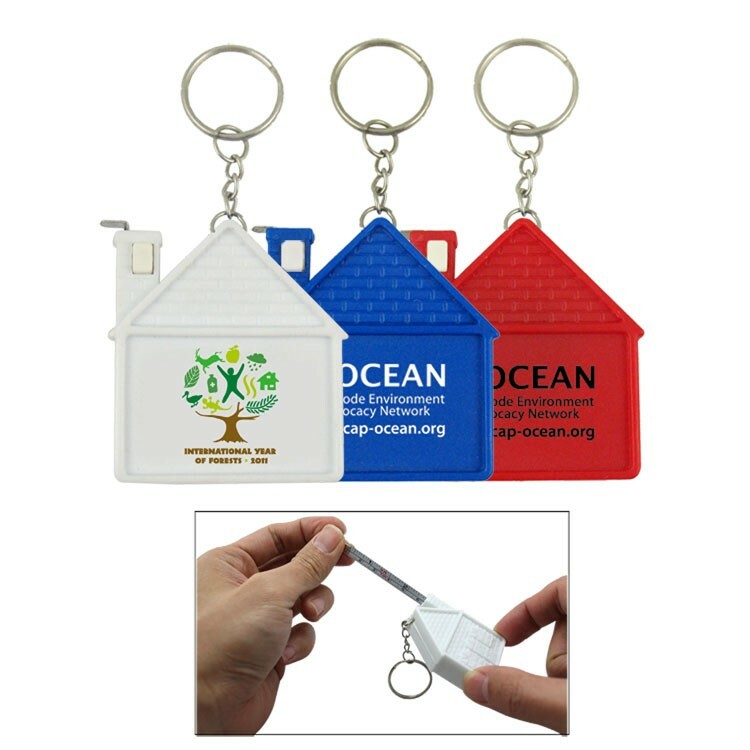 Screwdriver tool set with key chain. Solid ABS construction with 2 sided Phillips and flat head driver bit. Ideal for transportation, travel, camping, tooling, real estate and self promos. 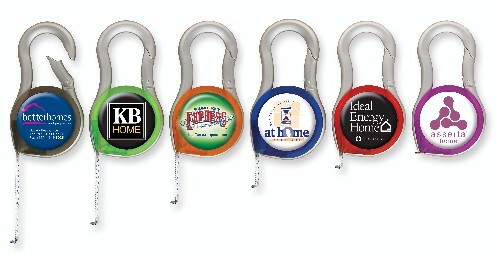 Your company should get a "round" to selecting this awesome product for your marketing campaign. 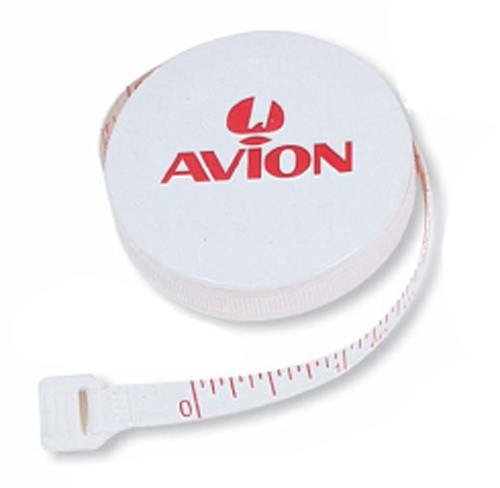 This round tape measure features a 5 foot tape ( 60") cloth vinyl tape. 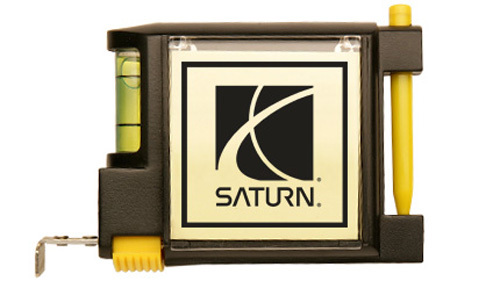 The auto rewind button makes this measure tape a great gift. 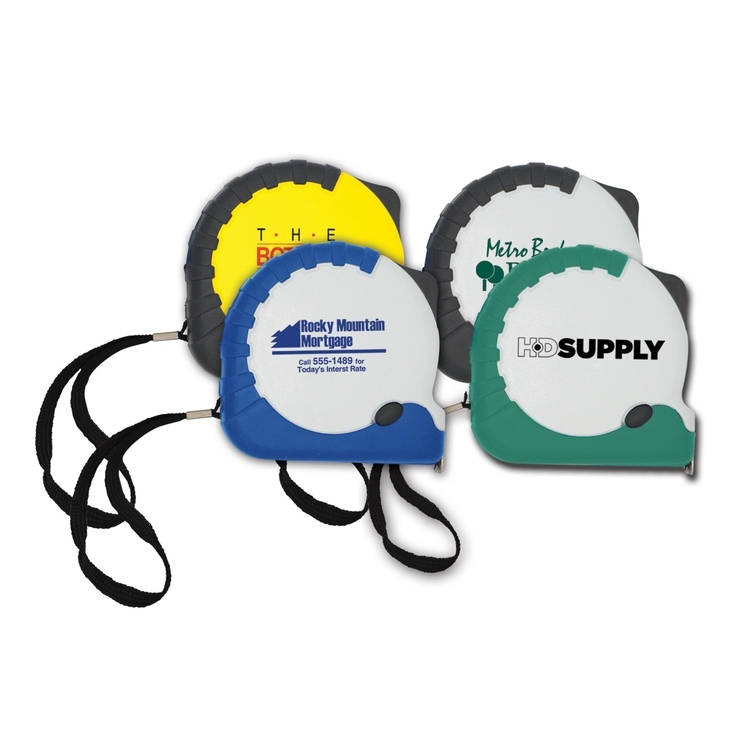 Add your logo to create a fun favor and feature during company trade shows and conferences. People will love taking this item home with them. What an excellent opportunity for you to promote your business. Make sure to order yours today. 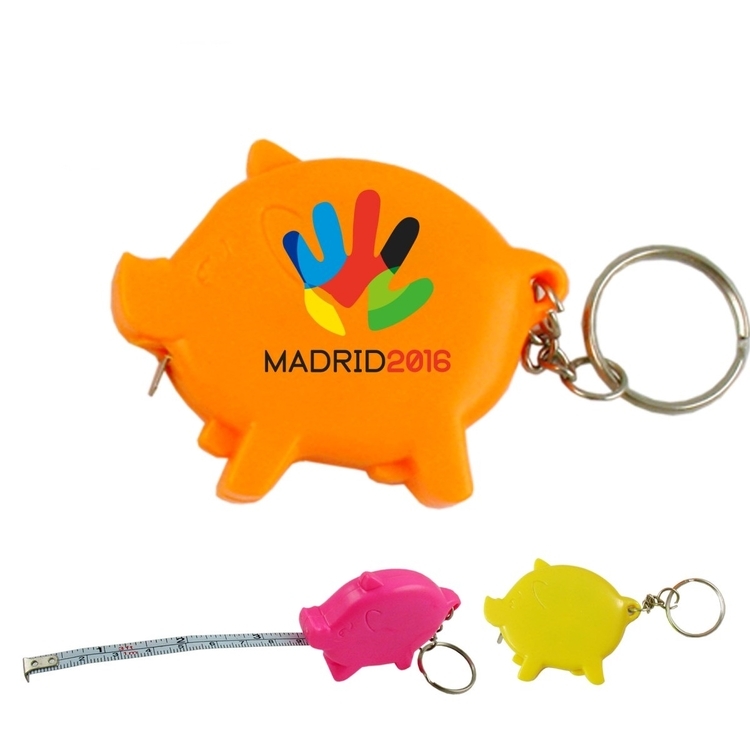 Provide them with a useful tool and be remembered with this measuring tape key chain with level indicator; measures up to 39 inches ( 1 Meter). 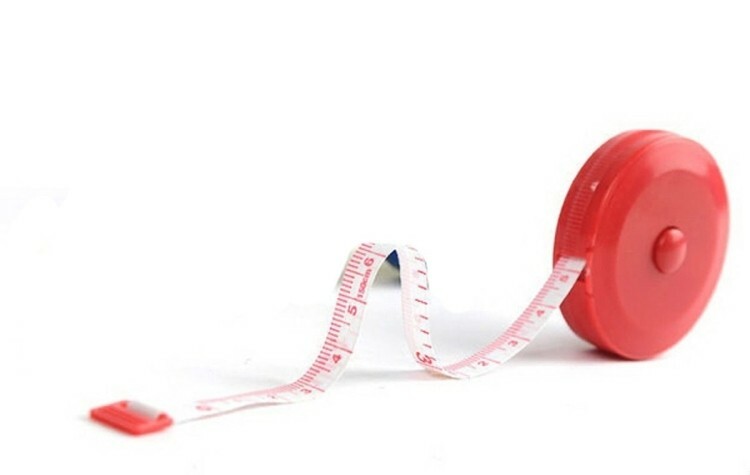 This measuring tape measures both inches and centimeters. 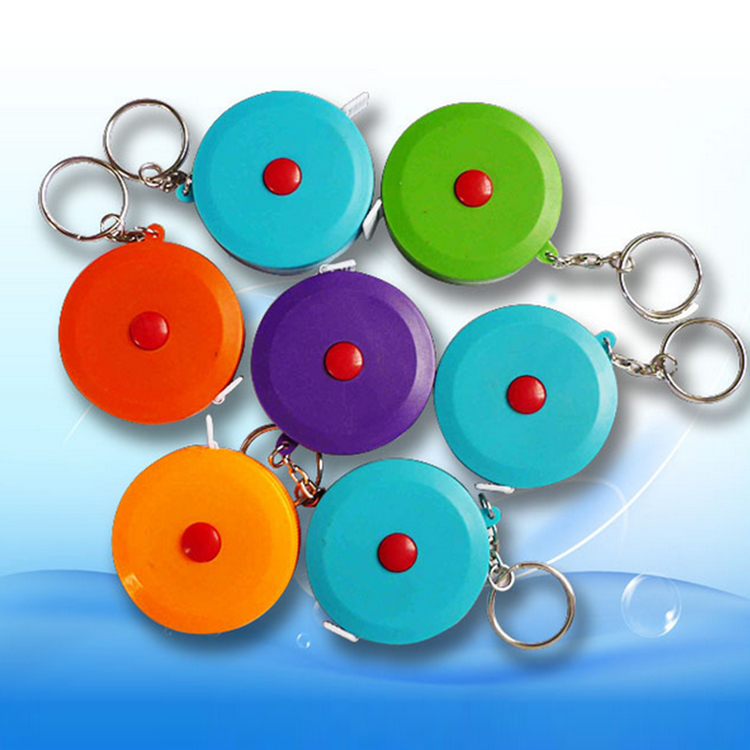 Available in attractive colors of red, yellow, blue, white, green, orange and black. 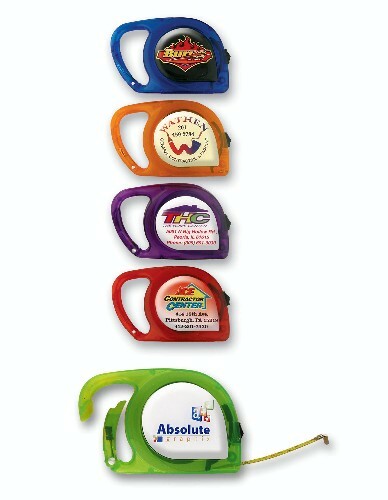 Perfect for tradeshows, construction industry, hardware stores and other uses. Eco-Friendly, made from 100% recyclable materials.